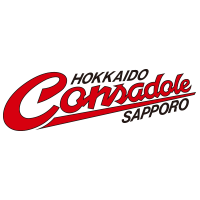 Hokkaido Consadole Sapporo’s shirt is red and black stripe. Hokkaido Consadole Sappro has team mascot character. His name is “Dole-Kun”. The character is Blakiston’s Fish Owl (Ketupa blakistoni). In Japan, the owl inhabit only at Hokkaido. The owl is biggest owl all over the world, and has a wingspan of about two meters. 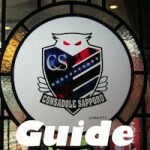 Hokkaido Consadole Sappro has an emblem designed the Blakiston’s Fish Owl inhabited at Hokkaido only in JAPAN. The owl is club mascot charactor. Club flag is designed from team color (red, black, blue gray, white) and club emblem. The emblem arranged at center of flag is club emblem. Hokkaido Consadole sapporo has 4 colors as club color. Each colors have significance or desire. RED: Red burned with enthusiasm symbolizes fighting spirits. BLACK: Black color of extensive firm ground of Hokkaido symbolizes infinite power. WHITE: White of snow on North Island, Hokkaido symbolizes spirits od fairplay. BLUE GRAY: Blue Gray of a coniferous forest of Hokkaido symbolizes cool and clever play.